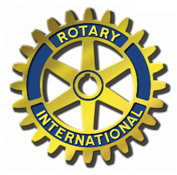 Rotary Club MCSS have established a strong partnership arrangement with all three North Canberra Rotary clubs: Belconnen, Ginninderra and Hall. Clubs provide funding support for a variety of initiatives such as: The MCSS FLEX program, RYPEN program and the Murray Darling School of freshwater Research. Police Citizens Youth Club (PCYC) A MOU between the PCYC allow both parties to share resources and expertise. Our students benefit from this reciprocal arrangement through the use of PCYC instructors, facilities and programs. Capital Training Institute (CTI) The CTI have provided valued support in the Vocational area. They regularly run short courses specifically for MCSS students in construction and hospitality. CTI have sponsored a range of MCSS sporting teams. Royal Lifesaving Society Australia Through our liaison with the RLSA we have an established accredited instructor in our school who delivers relevant courses on lifesaving and accredited certificates to our students.